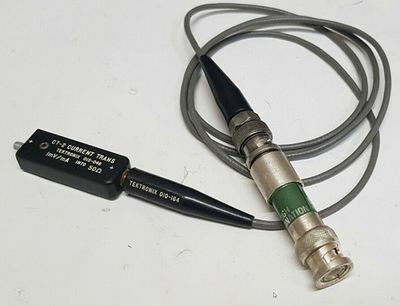 The Tektronix P6041 is an AC current probe for oscilloscopes. The CT-2 is the current transformer part of the probe. Multiple CT-2 units can be left installed in a circuit and only one connected using the P6041 cable. Frequency Response: "30% down at 1.2 kHz, 7% down at 200 MHz"